The Road Ranger Blog: Wellington and other. Spent a day in Wellington, as my wife still hasn't fully recovered from her broken ankle and I needed to drive her to an appointment. So here and some photos from Wellington and some local ones as well. 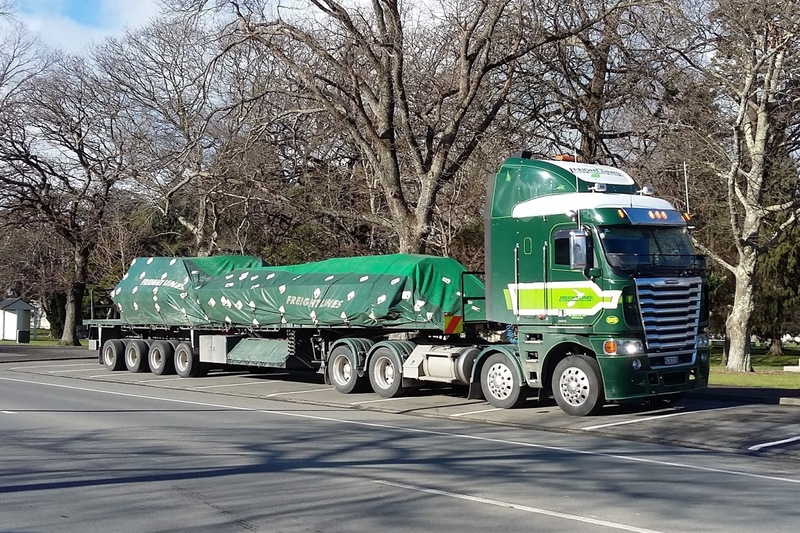 Freightliner parked up by Queen Elizabeth Park in Masterton. There are always interesting vehicles parked outside Havana Coffee Shop in Wellington. Countdown in Masterton is under-going an extensive refurbish. 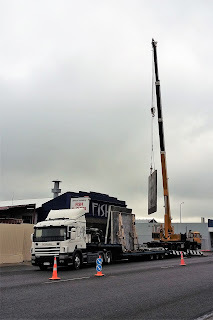 Here, a very big mobile crane is about to lift a large structure on to the roof for mounting all the external refrigeration gear. Hall's DAF pulls out from Countdown after a delivery. ....ex Japanese market, by the collection of mirrors on the near side. Volvo looks like it has been sitting for a few hours, by the sagged air suspension. Tidy Toledo on the street. FZR on the back of a ute in Wellington. A couple of classics in a garage in Wellington, that specializes in Citroen repairs. New building being erected opposite my workplace.